NOTE: Please do NOT perform this operation unless specifically advised to do so by a Revel Support Agent. Provisioning your iPad WILL DELETE ALL REVEL DATA PERMANENTLY. To provision your iPad, you will need to have access to the log in credentials of your Management Console. If you are provisioning your iPad after going live, please make sure all your payments have been batched, before deleting and reprovisioning the application. If you did not purchase the iPad through Revel, you will need to provision your Revel POS Application. 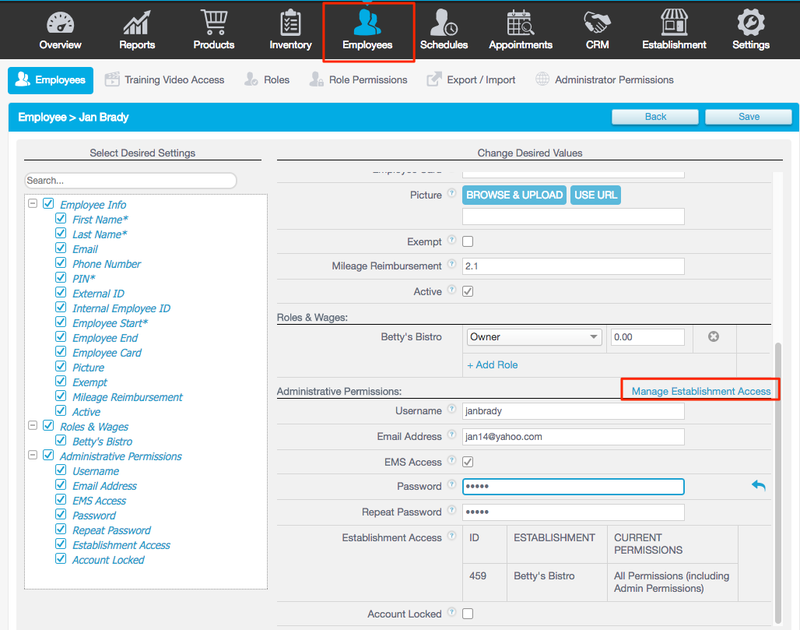 Before booting up the Revel app on your iPad, you'll need to log in to the Back-Office Management Console to verify that you have Owner or Manager permissions. These permissions are required to provision an iPad. Log in to your Management Console at [yoursubdomain].revelup.com and switch to the Employees tab. Find your name in the Employees list and click the pencil icon to open a detailed view. If you have just downloaded the Revel POS application, a pop up window will appear when you click on the application. If you just see the keypad screen, enter the number 8, eight times, (88888888), then tap login. Select the establishment where this iPad will be used and tap Next. You should now see a Downloading Configuration dialog. Wait for the download to finish, then enter your PIN to log in.